One thing I have been loving this summer as we make our rounds in the USA is all the simple al fresco meals we have been able to share with friends. Grill some chicken and veggies, make a salad, pour some ice tea and enjoy time with friends chatting and laughing and just enjoying summer. This salad is the perfect addition to a backyard grill night and is a fun change to the usual lettuce, tomato, cucumber, ranch combo. 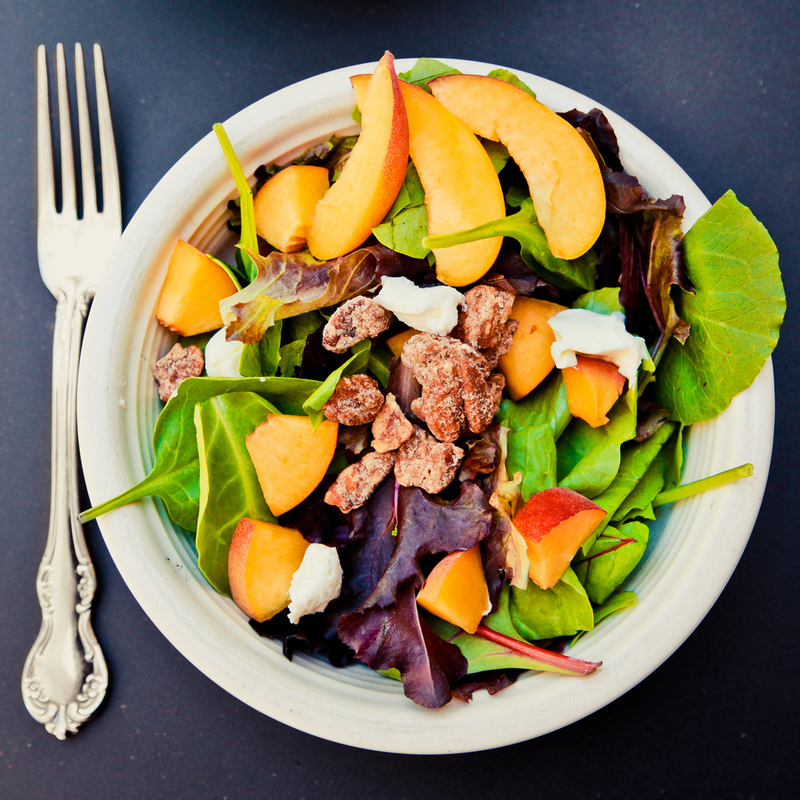 Toss together the spinach, mixed greens and peaches. 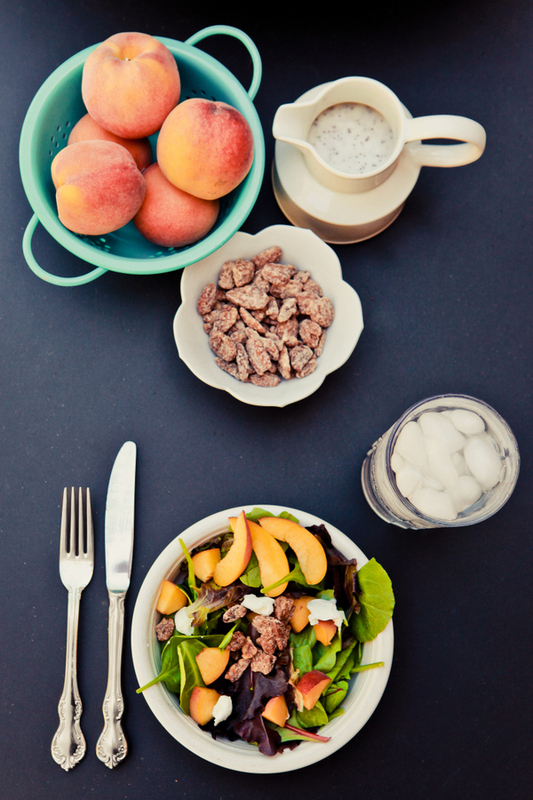 Tip: try to find peaches a bit on the hard side, really ripe peaches don’t hold up very well being tossed. 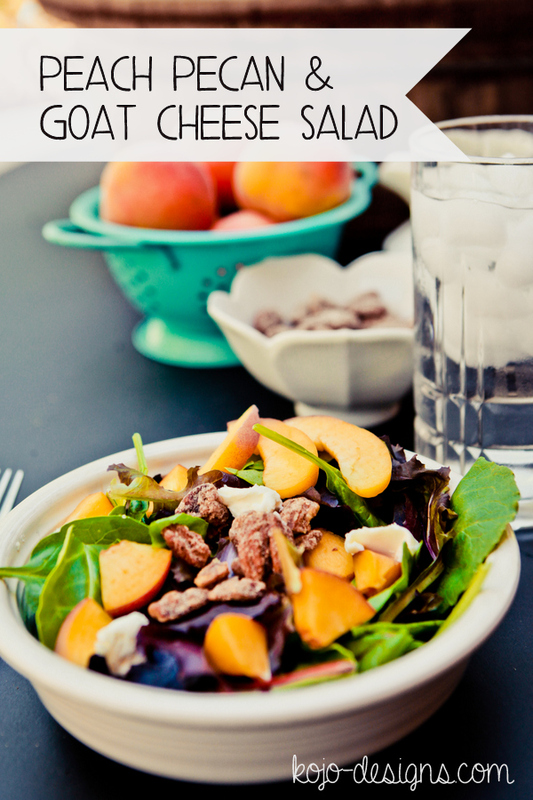 Sprinkle the salad with pecans and add dollops of goat cheese, serve with poppy seed dressing allowing guests to add dressing to their taste.